During a hurricane Ret Cooper is the sole survivor of a boat sinking and is adopted by a family who lost their father/husband in the terrible storm. He looks different from everyone else, but is still optimistic as he begins a new school in the fall with his adopted sister. The school principal and Geography teacher are not who they pretend to be and appear to be plotting against him. As they throw obstacles in his way they find that he does indeed have some “gifts” they were expecting. The problem is that he can only assume his full power if he finds the Oracle and no one knows for sure where that is. As Ret slowly learns who he is and what he must do the story gets more and more exciting. Fantasy lovers will instantly become enthralled with this story. The character development is great, leaving just enough unexplained to push the story along. The tasks Ret must complete make for exciting adventures and danger. The overall goal is explained, but readers will quickly understand how long it will take to fulfill said goal and how difficult it will be for Ret to do as people try to stop him. The premise seems familiar and yet unique all at once so readers will feel right at home. This would be a good one for a classroom read as there is something for everyone. I am a teen librarian in a small public library, and I was wondering if I would be able to copy the reviews posted and place them in the books. Of course I would give credit. Thank you so much in advance for your reply. My email is aquick at wlsmail dot org. I have no problem with that. Thanks for asking! 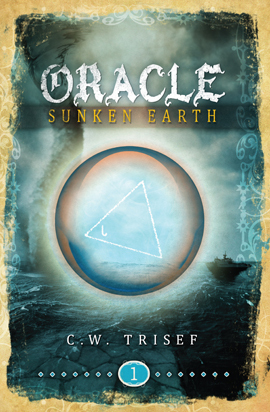 I loved “Oracle – Sunken Earth”! It’s good, clean adventure with great characters and an amazing plot. I enjoyed all the real-life connections with the earth’s mysteries…so cool! With funny humor and life lessons, who knew such factual fiction could be both educating and entertaining??? Already got my copy of the second book in the series, “Oracle – Fire Island”! Great review, thanks. I’ll check it out. it kinda needs a little more detail but other wise it is the second best book that i have ever read! did it take you a long time to write it?